Have you ever walked along a river edge and saw your reflection? 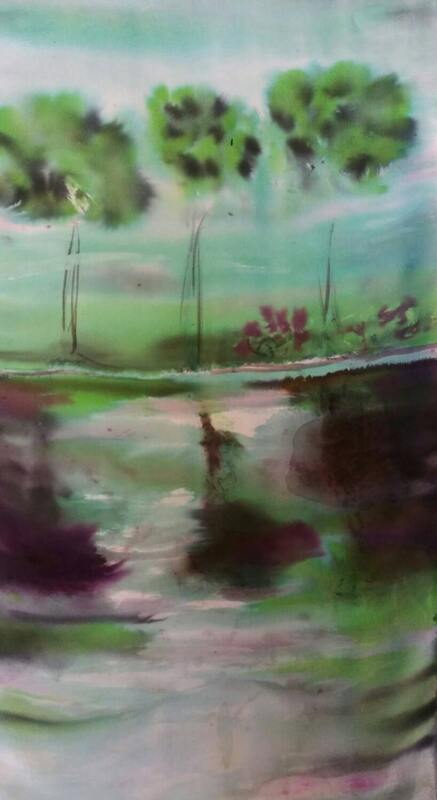 I painted this river landscape that looks like the water is wet and you can see a mirror image in the water. Imagine walking in to a room with this piece of art over your shoulders? Wow! Buy two items or more and I reimburse shipping to you for second item. Every piece I create is never the same due to the nature of the hand painting process. I take pride in the fact that I do not copy work. I might be inspired by others but I usually do not know what I’m going to paint until I put the first brush stroke down. I like mixing mediums with stamping or blending values of color on top of one another which creates depth on my hand painted pieces.